France experienced unusually harsh winters and heavy snowfall in the early 1870s. 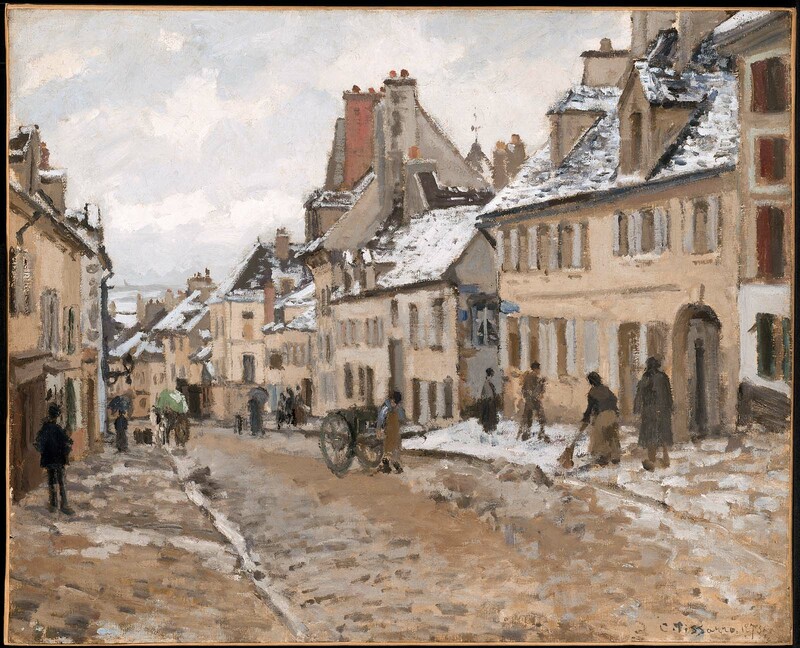 This street scene shows residents sweeping up a light dusting beneath a sky that promises more in Pontoise, the small town Northwest of Paris where Pissarro lived from 1872 to 1882. 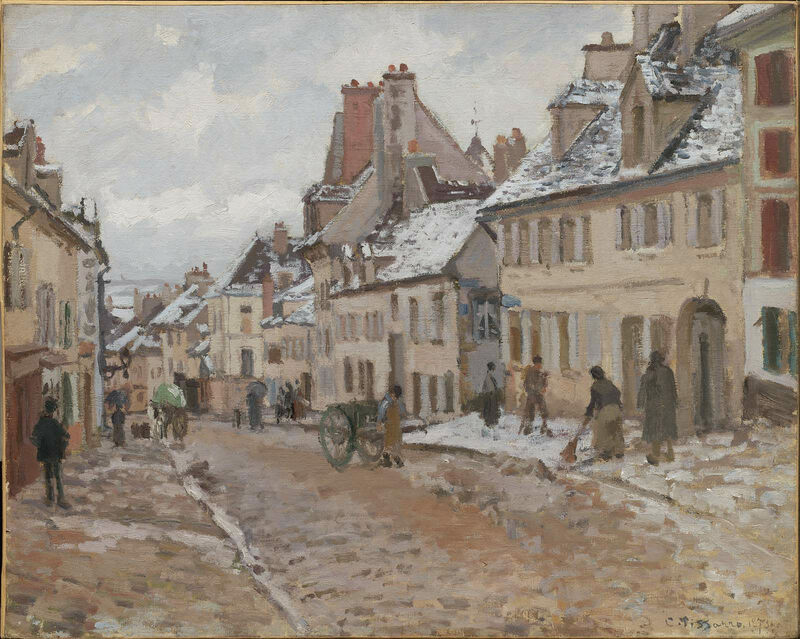 The oldest member of the Impressionist group, Pissarro was also among its most daring innovators. Here he evoked cobblestones, shingled roofs, and a lowering sky with short, telegraphic strokes—dots and dashes of juxtaposed, unblended color.